A ruthless posse of mutants, led by the despicable Scumocide, is hatching a plan to take over control of the universe. 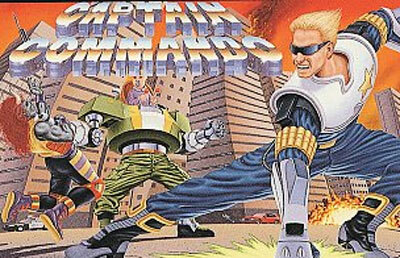 Now it's up to Captain Commando and his group of renegade warriors to stop the plot and send Scumocide and his brood back to where they came from. You can play as any of four characters, each with special abilities and characteristics as you fight to keep the world safe. Baby Head is a mechanical missile launcher controlled by a baby genius; Ginzu the Ninja is a master with the blade; Mack the Knife's enigmatic presence gives him the upper hand; and Captain Commando, uses his energy glove of electricity and fire. If you make it through all nine stages of action-packed fighting, you just might keep the Earth safe.